This page has moved to the Circle Ten Council Hub. Please visit https://circleten.ihubapp.org/c/service-centers-scout-shops/feed for all of your Scout Shop information. As the Hub grows, your channel choices will grow. The cool part is that your channel choices create your own "personal palette" of Scouting information that is tailored just for you! Choose what you are interested in or need to know about and leave the others alone. Change your mind? Change your position? Ok - leave the channel! No worries! Want to avoid the verification process? 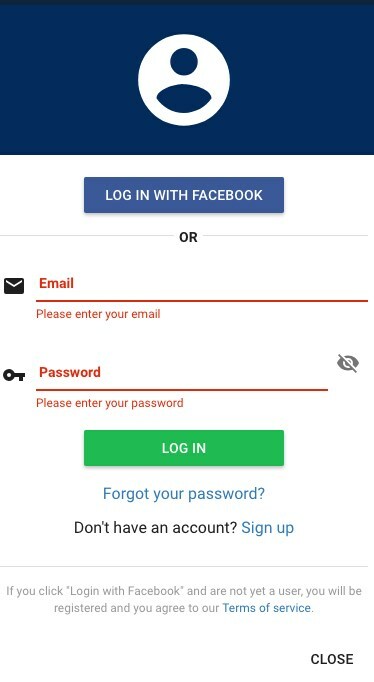 Login with Facebook! In the upper left corner are three horizontal lines. This is your navigation tool. Click that and a menu shows below. 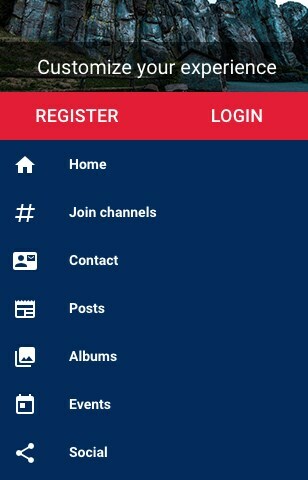 Click # Join channels to see the channels available. You can also subscribe/register from here. There are public channels and private (or request to join channels). The list will continue to grow, moving forward, so keep looking! Important channels to see now are the Program Preview Channel, Family Scouting, Scouts BSA, Camp Cards and Popcorn! Many of the channels are sorted into categories. You can view the list by "Categories" or "List All" which will give an alphabetical listing of every available channel. Once you have joined channels, you can choose to view only your channels. Learn how to Set Your Notifications. Setting your notifications is important! Did you know that you can set it up to receive a weekly digest of ONLY the newest information in ONLY the channels you have joined? Forget the days of deciding which part of the newsletter applies to you - everything in that digest WILL apply to you because you signed up for it! It's like it was tailor-made just for you...because it is! Doing this on your phone or mobile device will make it easier to access when you need information!